The two-member team of the Indian Institute of Technology-Bombay, who conducted the study, found 626 microplastic particles in the tested samples. In a startling revelation by a IIT Bombay study, it has come to light that most table salts sold in India contain microplastics from polluted sea water. 63 per cent of the microplastic particles was in the form of fragments and 37 per cent were fibres, the study stated. The team found that 63.76 micrograms (or 0.063 milligrams) of microplastic was found per kilogram of salt tested. Microplastics are small pieces of plastic usually measuring less than 5 millimetre in diameter formed by the product's gradual degradation in the environment, especially the sea. 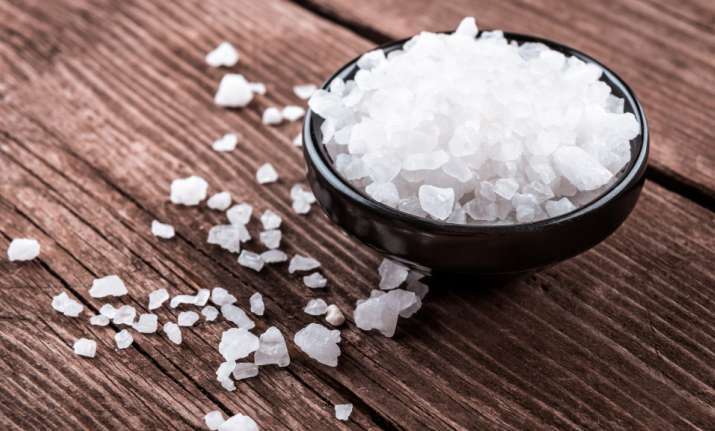 In another revelation, the study said Indians were consuming about 117 micrograms (0.117 milligrams) of microplastic annually if the average person has a daily salt intake of 5 grams. The study titled 'Contamination of Indian Sea Salts with Microplastics and a Potential Prevention Strategy', was published on August 25 in the Environmental Science and Pollution Research, an international peer-reviewed journal. It was co-authored by Professor Amritanshu Shriwastav and Chandan Krishna Seth of the CESE.